Rest assured we’re here for you. In today’s real estate market, Arizona luxury home buyers require the premium protection of Exclusive Arizona Buyers Agents whose sole mission is to fully protect buyers’ interests with the utmost loyalty, fidelity and good faith. Dedicated exclusively to the needs and rights of buyers, our professionals have the highest levels of expertise and qualifications necessary to provide the guidance and representation that eliminates the Arizona luxury home buying risks and provides an unparalleled Scottsdale luxury home buying experience. Top Arizona luxury buyer broker eliminates extreme dual agency risk. 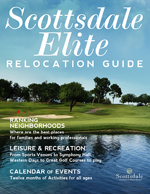 Is the Scottsdale luxury home-buying process different from other types of homes? Unique aspects reveal the need for Scottsdale buyers agent.